After the sufficient time has passed now, this is a great opportunity to sum up the achievements from our presentations at fairs and showrooms. 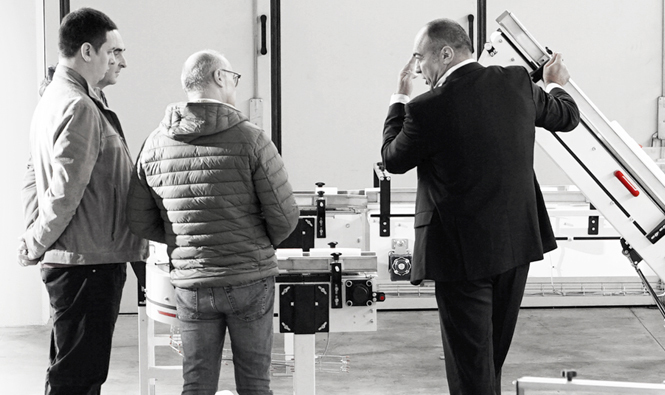 We may consider the past fair season as very successful and our company is particularly proud of its showroom presentation in Lucca, Italy from 12 to 14 October. With the aim to present our products in the most real surroundings possible, we set up the above mentioned showroom very carefully, to enable visitors to get acquainted in detail with the complete line of conveyors of the new company within STAX Network – TCS. As a result of dedicated work and innovations of our team of engineers, the presented conveyor lines exceed by their characteristics and capacities all expectations and known parameters, which our visitors and guests could see on the spot by watching the work of the presented lines. The success and efficiency in the work of conveyors in improvised conditions of the showroom give us in STAX Network particular satisfaction and considerable incentive to proceed with similar projects in the future.